"Aren't diesels dirty?" asks the grandmother in the passenger seat of the gleaming new VW Golf SportWagen. "Diesel in Latin means 'dirty,'" chimes in another friend in the backseat. To prove them wrong, the gray-haired driver gets out and holds her white scarf up to the tailpipe of the purring car. "See how clean it is!" she exclaims, holding up the spotless shawl. The Federal Trade Commission is now reviewing whether that 30-second spot and others like it touting Volkswagen's "Clean Diesel" engines amount to fraud, adding a new avenue for U.S. regulators to punish the German automaker for its emissions-rigging deception. FTC spokesman Justin Cole declined to comment Friday beyond confirming the commission's coordination with other federal agencies conducting a criminal probe into VW's use of a "defeat device" to hide emissions of smog-causing gases at up to 40 times the legal limit. For years, the company had used well-funded national ad campaigns to boast its vehicles had the perfect balance of peppy acceleration, 40-mile-per-gallon gas mileage and low greenhouse-gas emissions. The pitch helped lure environmentally conscious customers who wanted to help save the planet without sacrificing driving performance. While the FTC can't send anyone to jail, it can go to federal court to protect consumers and negotiate settlements with wide-ranging penalties. 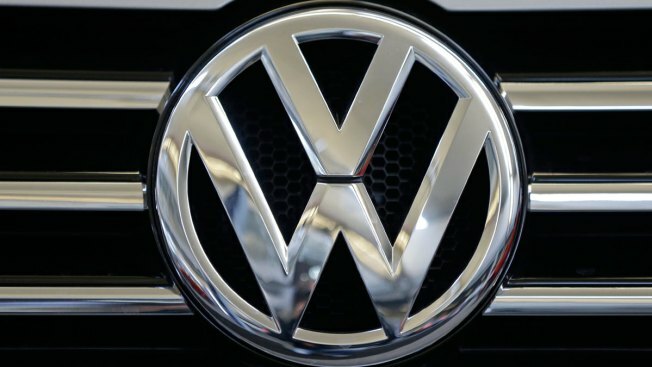 Those could potentially include paying cash restitution to the affected car owners and forcing VW to buy new national ads admitting the company lied to customers. "This is exactly the type of case you would expect the FTC to look at," said Lee Peeler, a former FTC official who is president of the Better Business Bureau's Advertising Self-Regulatory Council. "When it comes to false advertising the agency actually has a pretty broad range of authority." VW hastily took its "Clean Diesel" ads off the air following last month's admission it had cheated on emissions tests. The ads have also been removed from the company's websites and YouTube channel. Volkswagen spokeswoman Jeannine Ginivan said airing the spots no longer made sense after the company withdrew its diesel cars from the market. VW is now coordinating with the Environmental Protection Agency on an expected recall of the nearly 500,000 sold in the U.S. since the suspect software first appeared in its 2009 diesel models. "Our primary focus is addressing the matter at hand and making things right for our customers, dealers and employees," Ginivan said Friday. "Once the diesel models have final certification from the EPA and become available for sale, we plan to return them to our website and other advertising platforms." On Friday, VW also announced the launch of a new website for U.S. diesel owners to determine whether their cars are among those containing the problematic software. Owners can key in their vehicle identification number stamped on the dashboard near the driver's windshield. The number can also be found on many state auto registration cards.